Many people notice stubborn fat on their waist that refuses to budge, even though they have been following a strict diet and have successfully lost weight from other parts of their body. The waist just seems to be an area of the body where it is hard to lose weight for many people. This may not always be down to bad luck! It doesn’t have to be a situation you to put with. It can be caused by diet, a lack of protein, intestinal problems and even muscular tension. In this article, we will explain some of the ways you may be able to achieve a slim waist without having to make huge sacrifices. The methods here are also purely natural and work in harmony with your body. Eat foods that contain loads of fibre (like fruits, vegetables, legumes, whole grains). 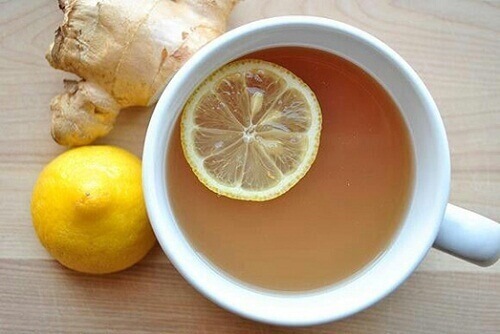 Drink a glass of warm water with the juice of a half lemon first thing in the morning. Include some linseed in your diet. Take a regular magnesium supplement. Focussing on your mental health and emotional problems. Does this sound like a typical day for you? Toast for breakfast, pasta for lunch, bread on the side, pastries for a snack, pizza for dinner. If this sounds familiar then you are definitely over-doing the carbs! Carbs are not all bad news. They are an essential part of your diet and provide the body with valuable energy. On the other hand, if you over-do them and don’t use all the energy, it gets turned into reserves and guess where it’s then stored? The waist! The stomach adapts to the quantity of food that you eat so don’t eat more than you need! It does not hurt to be a little hungry at meals. If you are not hungry – don’t eat! It is also very important to eat slowly and chew your food well, which will help you eat less and feel satisfied sooner. Some people also find a natural digestive infusion (such as green tea) useful. Carbonated (fizzy) drinks do your body no good at all. They provide no nutritional elements and overload you with sugar. They also cause bloating. For this reason it is best to avoid them completely are replace them with pure fruit juices, herbal teas or just plain water. Not all waist issues are related to the intestines or your diet. Some people appear to have waists that are too large for their size, and even though they lose weight, they can’t do anything about it. This may be down to postural problems. For example, people who suffer from lordosis or scoliosis (curvatures of the spine) can develop more muscular mass or fat in the stomach or on the sides because the body feels the need to create a natural support to balance the weight because otherwise you would be very imbalanced. If you suspect that you have postural issues you can try postural re-training or stretching, yoga, or tai-chi. It is best to avoid high impact sports such as running or circuit training.